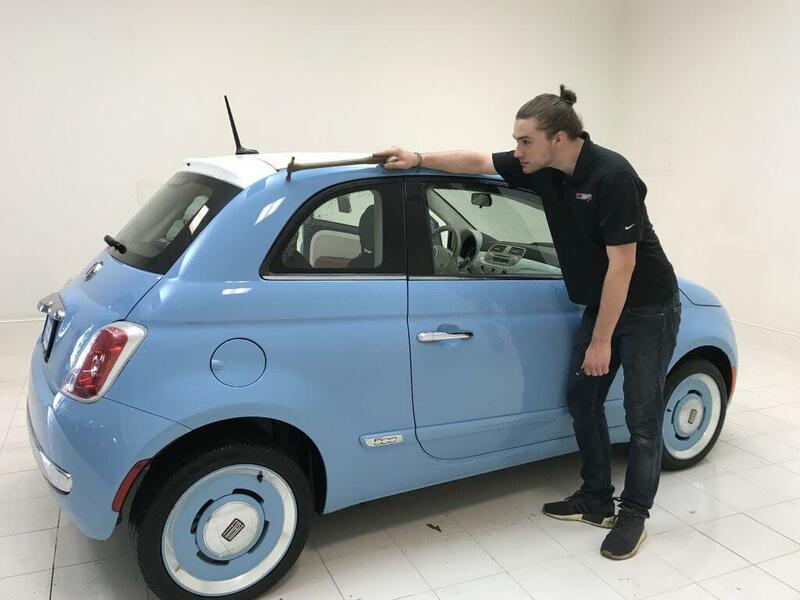 Does your Fiat 500 Series car have bends, irregularities, dents, or dings? Don’t let it reflect poorly on your style. Let the pros at EZ Dent put their fast and efficient Fiat dent repair & removal services to work for you. If you want to restore your car to its original shape while improving its value after receiving a minor dent, consider the paintless dent repair process. Specialized tools are utilized to slowly massage your car’s body back to its proper form. And, depending on how many dings there are, how large they are, and where they are on your car, we can be finished in under an hour. Our services are much more cost-effective than those provided by the body shops serving Athens and Metro Atlanta. We are confident of this because we keep our job simple: dent repair is our specialty. Additionally, we have years of experience perfecting our dent removal process for custom & import cars like Fiats. The overall cost of your project will depend on several factors, like the model and year of your Fiat, the type of dent, and where on your vehicle the dents occurred. You might consider having your insurance cover the expenses. However, our clients’ deductibles are almost always much more than the repair costs. We have experience working with insurers and can tell you based on your damage and policy if involving insurance is a good idea. *Disclaimer – EZ Dent is not affiliated with Fiat or authorized Fiat dealerships. Contact us today for dependable dent removal if you drive a Fiat 124 Spider or any other Fiat model of any color or body type.